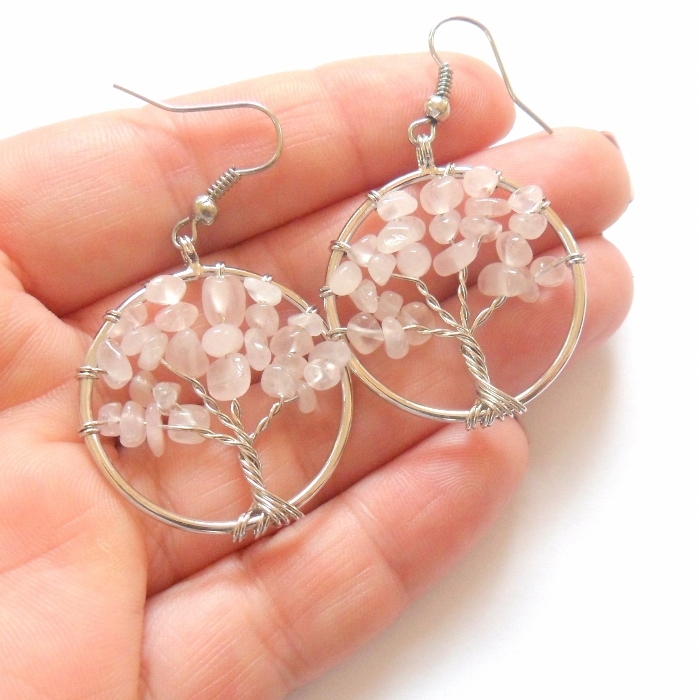 Pink rose quartz silver plated Tree of Life earrings. Rose quartz attracts love and opens you up to accepting more love in your life. 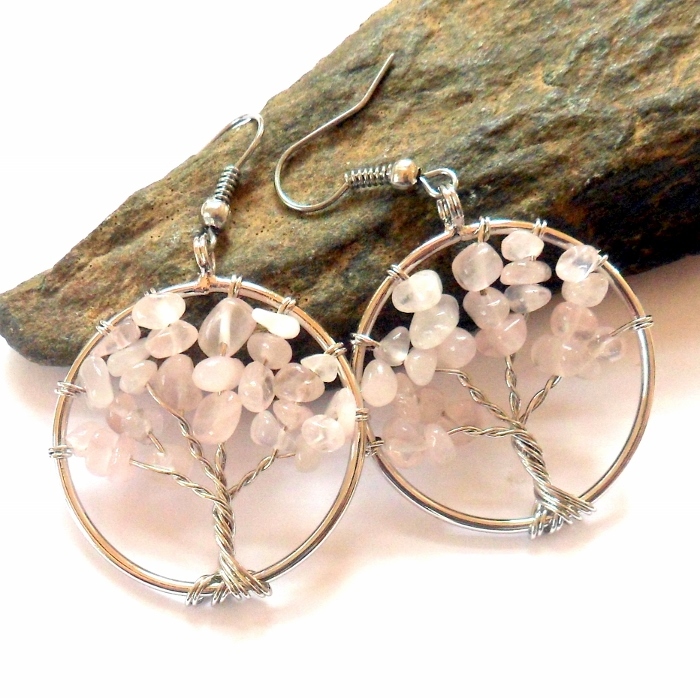 Rose quartz is an October birthstone. The Tree of Life represents the interconnection between all life on our planet. It unites heaven and earth and is honored as a universal symbol for healing, growth, the seasons of life, and the magical qualities of nature. The symbol tree of life has been used as in science, religion, philosophy, and mythology.